A normal atom is electrically neutral, because it has the same number of electrons (particles bearing a negative charge) as protons (particles bearing a positive charge). 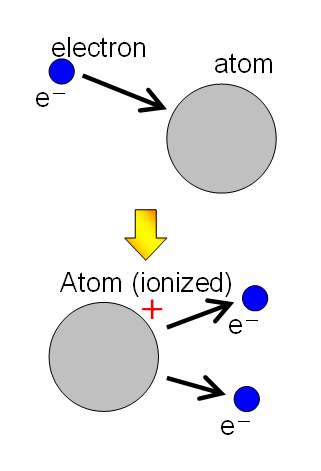 It can become a negative ion (anion) by gaining one or more electrons, or it can become a positive ion (cation) by losing one or more electrons. This process is called ionization. This process is used in many applications throughout several fields of life such as technology, medicine and industry. 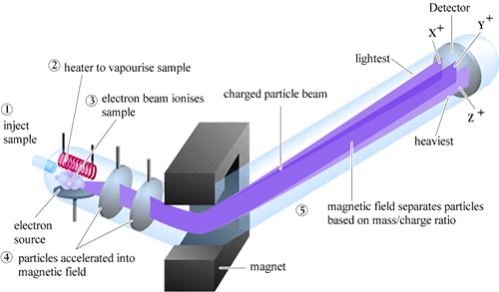 One of the most well-known applications is mass spectrometry, used mostly in Biology and Chemistry, where ionized particles are accelerated through an electromagnetic field and then reaching a detector. With the information given by this detector it is possible to calculate the mass of substances, or even their chemical composition. Ionization is also used in less "conventional" but equally innovative applications. For example, a new method of fake perfume detection has recently been announced. This method consists in the electrostatic ionization of the spray contents, which in a short period of time tells if the tested fragrance is real or fake. Water ionizers have been generating increased interest in the U.S. during recent years. They are marketed as being beneficial for our health, with anti-oxidant powers and, while there is no empirical evidence of this fact, it is also reported that ionized water improves physical performance, boosting energy and concentration. Generally, water ionizers raise water's pH, making it alkaline (tap water's pH is usually around 7 - a neutral pH). Ionized water is also said to enhance the ability of the blood to carry oxygen and also assist in neutralizing toxins in the bloodstream. In addition, this kind of water has, according to vendors, higher rates of hydration, being helpful to treat skin conditions. 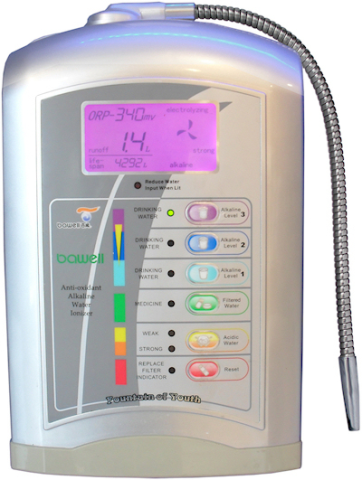 If you want to know more, follow this link for a better understanding on how a water ionizer works. Even though some of these benefits are not scientifically proved, it is known that ionized water is not harmful, so there is nothing to lose by drinking it - worst case scenario, nothing happens other than you ending your thirst.